Help Papa manage the pizza shop to make sure all the customers are happy. Get the pizza order and prepare the cake. Add the special cakes and put the cake in the oven. You can bake 4 pizzas at once! Once done, cut it out and bring it to you! 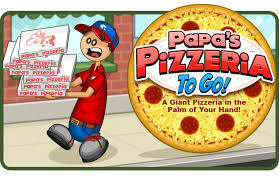 Papa’s Pizzeria is one of our funniest games How to play : Use Mouse to perform in-game actions.